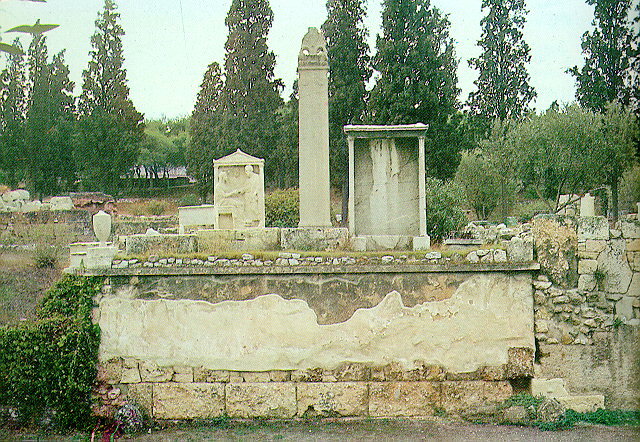 The biggest and most important necropolis in Athens stretches along Ermou Street, near the junction with Pireos Street. One can see the ruins of the fortified enclosure with its two main gates, the Iera Pyli (Sacred Gate) and the Dipylon, public buildings, impressive civilians graves and military tombs. 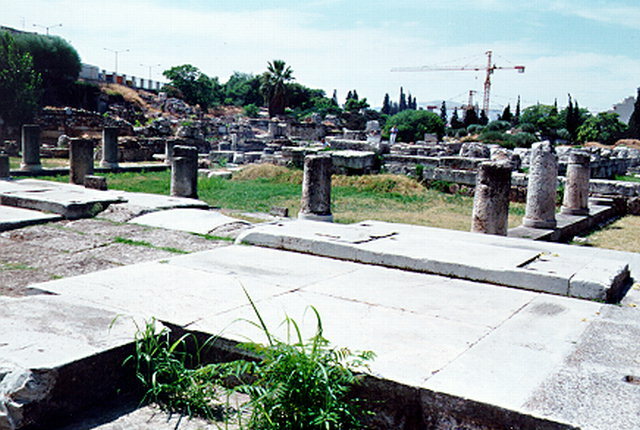 The Kerameikos archaeological site also has a museum showing finds from the excavations. Kerameikos was named after the community of the potters (kerameis) who occupied the whole area along the banks of river Eridanos (or after after Keramos, son of Dionysios and Ariadne, hero of potters). The walls of Athens, which were constructed in the 5th century B.C. by Themistocles, divided the area into two sections, the "inner" and "outer" Kerameikos. The wall had two gates, Dipylon and the Sacred Gate, placed at the outset of the two most important processional roads of Athens, the Panathenaic Way which led to the Acropolis, and the Sacred Way which led to Eleusis. 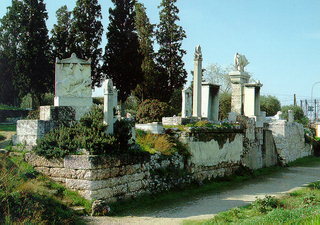 Outside the city walls, along the sides of both roads lay the official cemetery of the city, which was continuously used from the 9th century B.C. 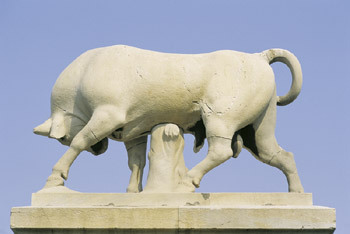 until the late Roman period.